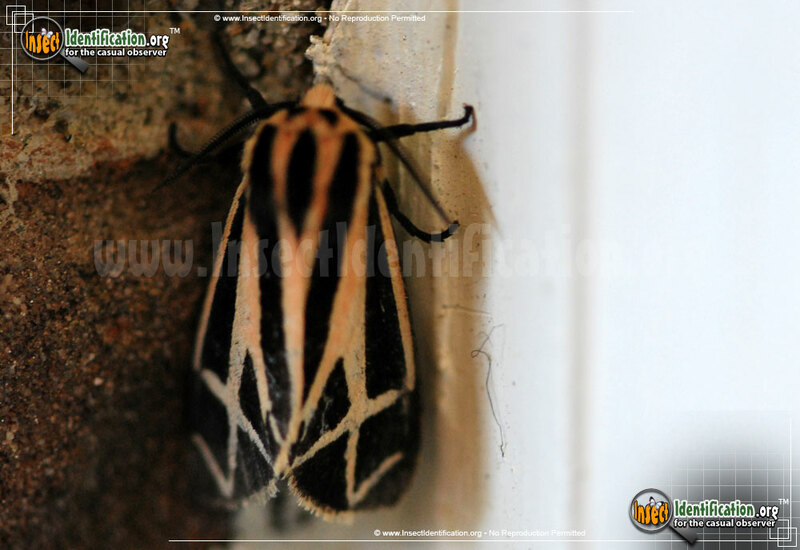 Detailing the physical features, habits, territorial reach and other identifying qualities of the Harnessed Tiger Moth. The Harnessed Tiger Moth could be mistaken for a butterfly with its stripes, contrasting colors, and splashes of orange on its wings. 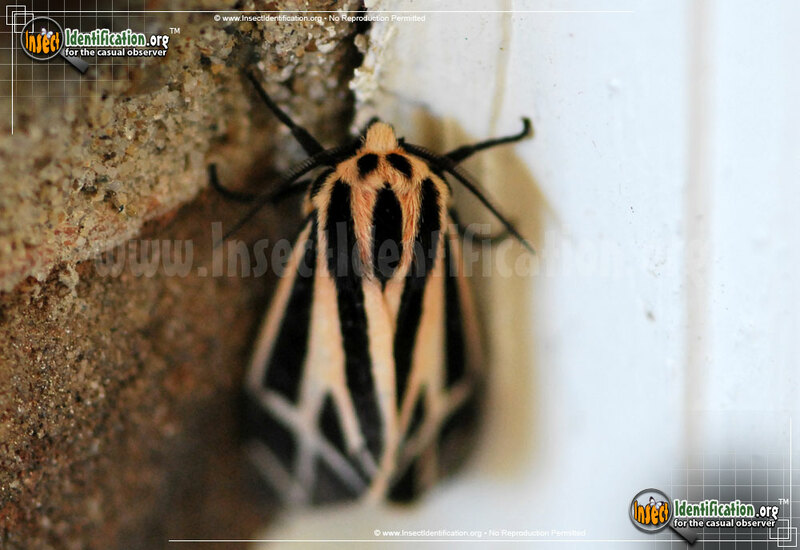 The Harnessed Tiger Moth is one of a group of similar looking Tiger Moths. This family is known for its showy colors. 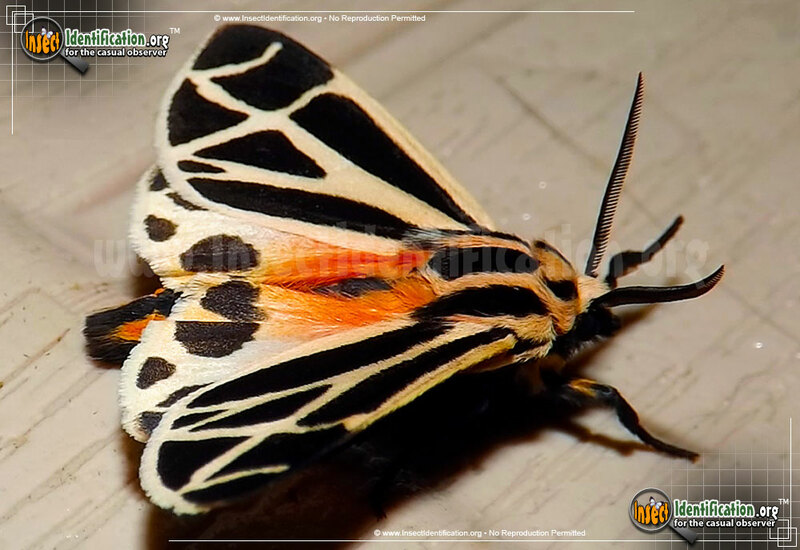 For the Harnessed Tiger Moth, the biggest color statement comes from its hingwings, where a flourish of orange-pink can only be seen when the wings are spread. The abdomen is black with reddish sides. The forewings have thick tan lines that create triangular black shapes. Relatives like the Parthenice Tiger Moth have more tan veins that are much thinner. Black marks rim the bottom edge of the hindwings. 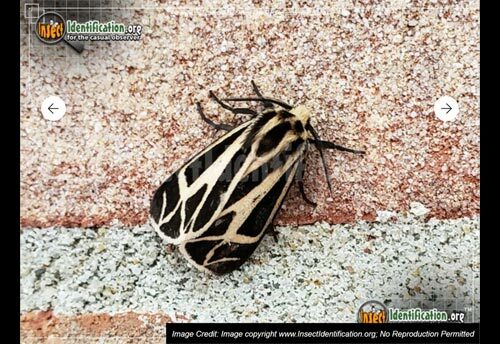 This moth can been seen flying from early spring to late autumn in the southern states. The colder northern climate reduces that by two months. Caterpillars are completely covered in hairs that look like bristles of a brush. Its body is a grayish black and the hairs are yellowish. A thin yellow or orange-colored stripe extends from head to rear. They eat the leaves of clover, plantains, corn and dandelion.